The Sour Dwarf Cherry orchards in Bruno were planted under the direction of the University of Saskatchewan and the Ursulines of Bruno when the Ursulines owned the property where the Bruno Cherry Sunday is held. The property changed hands in 2007 to becoming St. Therese Institute of Faith and Mission, and since 2011 the orchards have been operating as U-Pick. 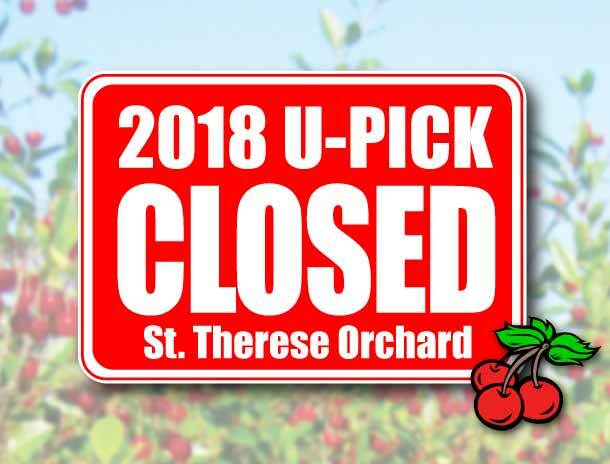 Please watch the articles below for information about this year's crop and U-Pick announcements. The fruit is usually ready for harvest throughout August, sometimes starting even in late July. 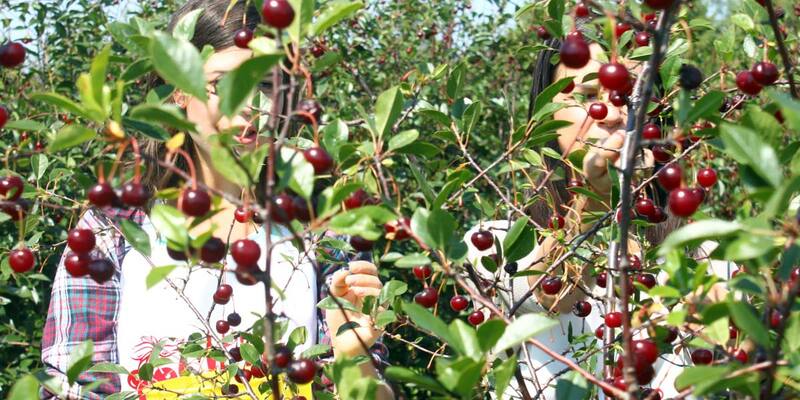 FAQ: What kind of Cherries do you have in the St. Therese Institute orchard? Our U-Pick cherries are University of Saskatoon developed Sour Dwarf Cherries. They are a great tasting cherry with a high sugar content, perfect for baking, cooking, sauses, or even by themselves as a tart-'n-sweet treat. You can find out more about the cherries themselves at http://www.fruit.usask.ca/dwarfsourcherries.html . We have several different varietiesof Sour Dwarf Cherry in the orchard — Valentine, Romeo, Juliet, Carmine Jewel and Crimson Passion.